China shredders operates out of Guangzhou, China, in the the Guangdong province and has factories in Shanghai, Tianjin, Dalian, Chengdu and Hanghzou. We offer dual shaft shear shredders, quad shaft shredders, single shaft grinders and granulators. All of our machines can be combined into fully operational recycling systems. Browse through China Shredders to see our selection of machines, our prices and promotions! We also offer some helpful articles that help you choose the right machine for your needs. You can find articles about selecting your Chinese shredder in the articles section. The China Shredder Group or Chinashredder.com, began its original operations in 1966 and is diversified all over China by 1993. Today we announce the completion of our 40th, 41st and 42nd, dedicated shredder and recycling system manufacturing plants in Qingdao, Xian and Shanghai China. 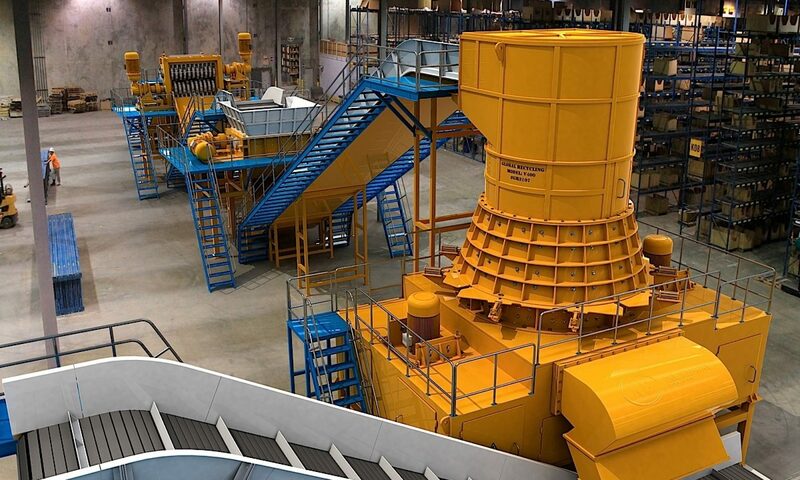 The company was originally formed by a small team, and has grown into the largest group in the world making recycling equipment in China with over 1,400 workers, and plants that are located worldwide. The technology is licensed exclusively from the Eidal Shredder – Shredderhotline – USA – Canada – Euro Group. 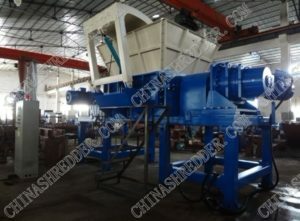 The first super large Chinashredder.com grinder was made in 1993 in Emi City China, and expansion of the China Shredder Group all over China with shredder manufacturing plants, has been accomplished every year, over the last 20 years. This success has made The China Shredder Group, Chinashredder.com the largest shredder maker in China with plant operations located in Hangzhou, Shanghai, Guangzhou, Wuxi, Jiangjiagang, Dalian, Qingdao, Baoding, Tianjin, Xian, and Beijing. Today there are over 350 companies in China that promote shredders and recycling systems, but they are not like the China Shredder Group. 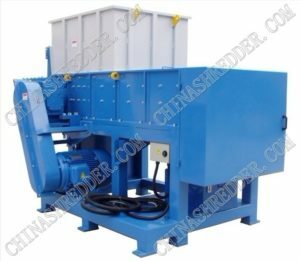 The China Shredder Group and Chinashredder.com is the only China company with high western quality and low china prices, and a western guarantee you will get what you order. The company started small but thinks big. China Shredders, and its expanding network of manufacturing partners, and sales partners, worldwide work very hard to provide the latest technology in order to offer a world price and world quality product backed with sales and support offices worldwide. Offices worldwide for sales and support services are in China, USA, Canada, Mexico, Brazil, Australia, England, Germany, Italy, Dubai, UAE, Russia, and India. 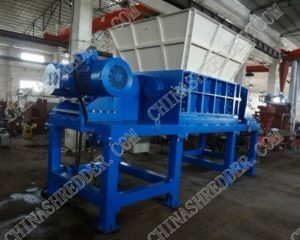 The China Shredder Group & Chinashredder.com works to offer the best product at the lowest price. Quality control and testing is an important factor in our company quality. 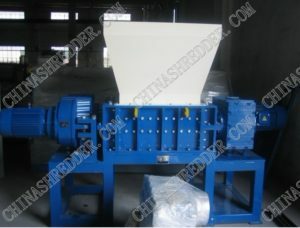 The single shaft shredder is a widely used type of machine. It consists of a single, solid shaft with square blades bolted into it. This shaft rotates at about 80 RPM, depending on the model, and these blades pass through a bed knife on the base of the cutting chamber. A hydraulic ram continually pushes the material against the shaft of the shredder for continuous cutting. The single shaft shredder is an ideal machine for plastics, paper, wood, organic waste a wide variety of non metallic materials. The size of the machine required for each project depends on the initial size of the material, the number of kilo’s, or tons per hour that you need to process, and the final particle size desired. We’re here to help, and we have the answers that you are looking for. We manufacture and ship these top-of-the-line machines around the world. And we sell them for less. Call now!